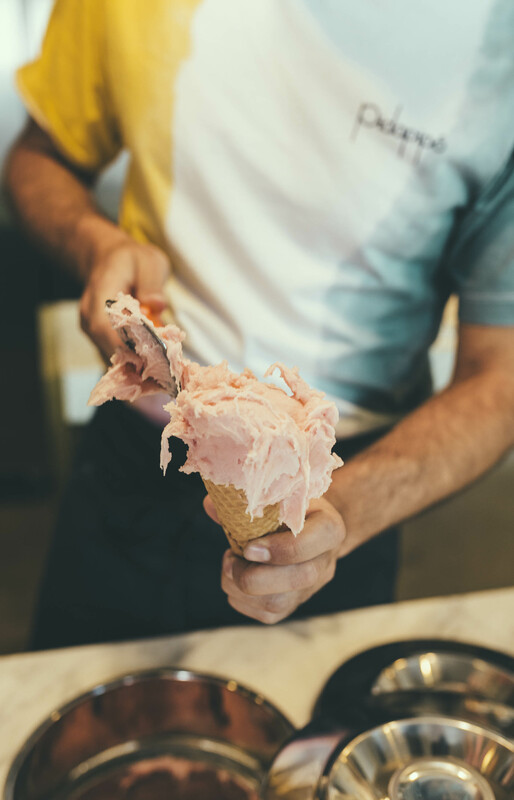 All gelato must be made from scratch on site. Small batches only. 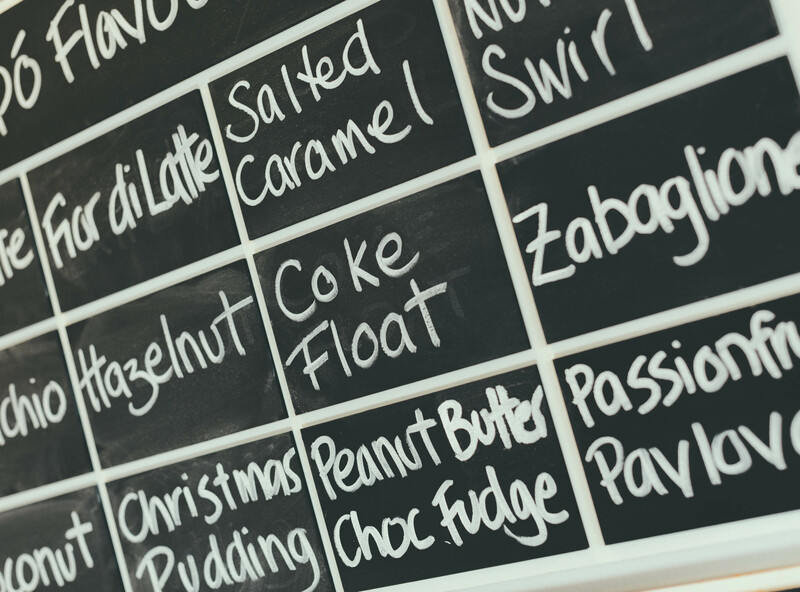 There is no good gelato without great ingredients. Fruit is fresh, never frozen with no artificial flavouring, ever. All recipes must be precisely calibrated to create uniform creamy texture and intensity of flavour. 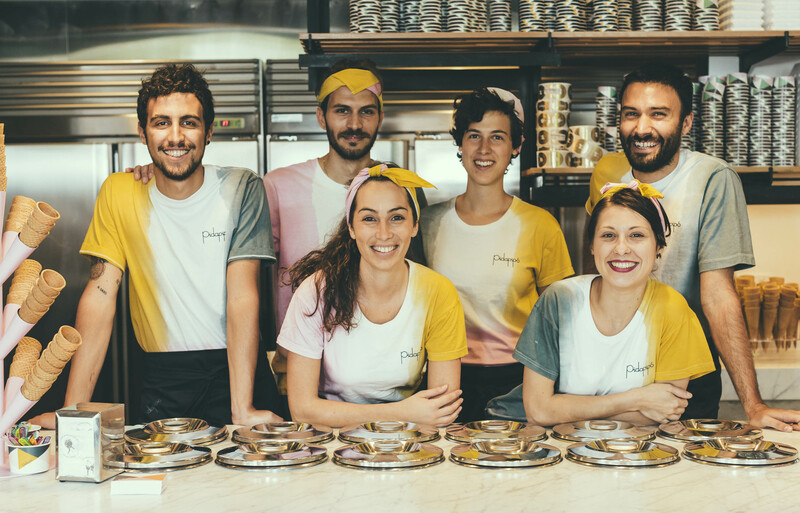 After graduating from Carpigiani U, Lisa works (and eats) in some of the best gelatarias in Italy. She learns the art of scooping gelato with wooden paddles and how to throw the lids of the pozetti around in a theatrical manner. A little theatre is important in an authentic Italian gelataria and pozetti, shiny lidded stainless steel containers do the trick. 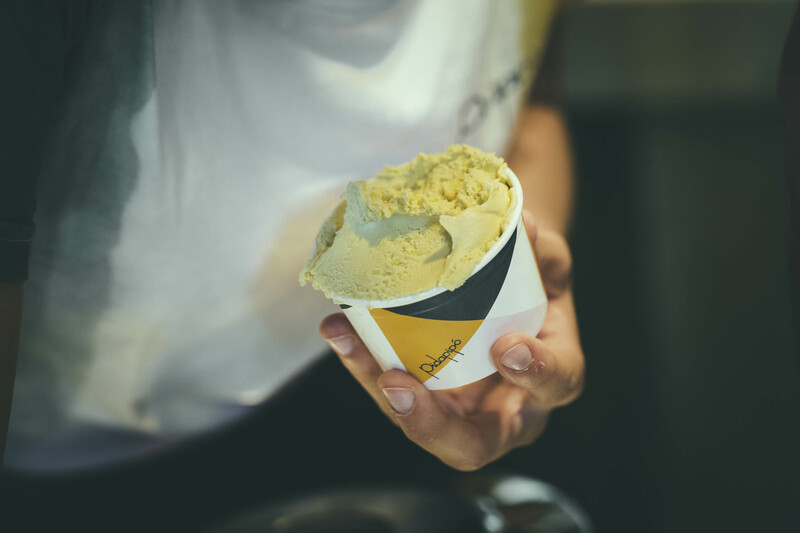 They’re also air and moisture tight, keeping the gelato in peak condition. Lisa goes into business with her brother Jamie and they open a temporary concept store in Carlton. They call it Pidapipo after a traditional Italian game they played with their nonno when they were growing up. 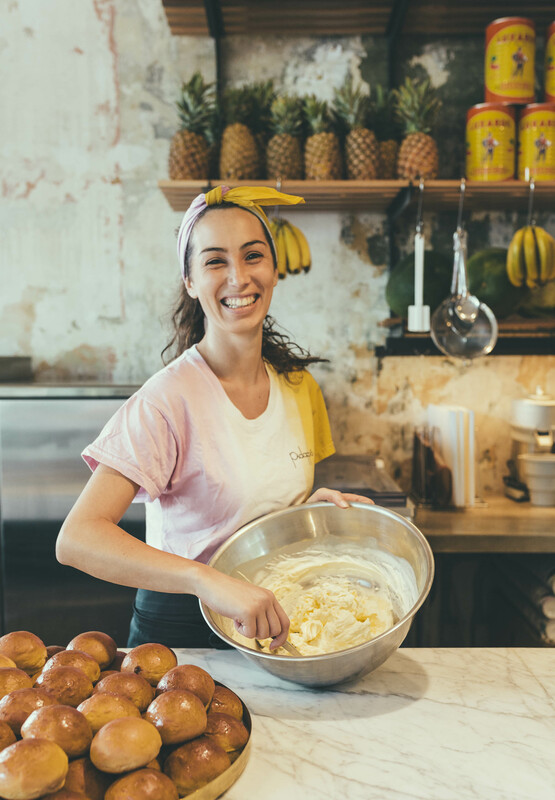 Lisa imports Italian equipment, collaborates with artists and designers for the fitout, sources the best producers of milk, nuts, fruit, honey and chocolate and discovers that Melbourne is as crazy for authentic, artisanal, Italian-style gelato as she is. 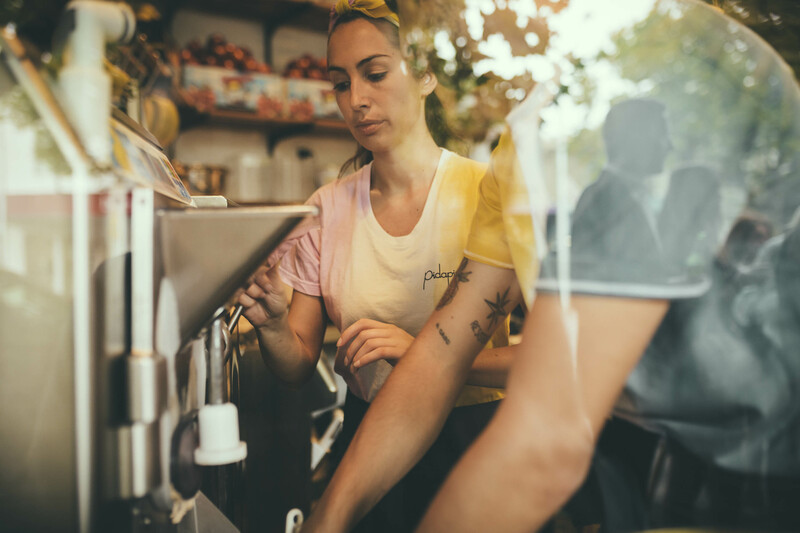 The temporary store moves to Lygon Street and becomes permanent. A second store follows in Chapel Street, Windsor. Nutella fountains flow. Ice cream cakes are constructed. New flavours emerge. Queues form. The people are happy because, well, gelato. Come visit us and get happy yourself.